Prominent & Leading Exporter from Ahmedabad, we offer automatic high speed wet glue labeling machine, de-dusting machine, de duster machine and de burning machine. 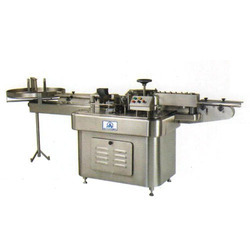 Automatic High Speed Wet Glue Labeling Machine is manufactured and exported by us in various specifications. Owing to the speedy operation, robust construction, longer operational life, consistent performance and low maintenance, the proffered set is vastly asked for. Made available in numerous specifications, these high functionality machines are easy to operate. 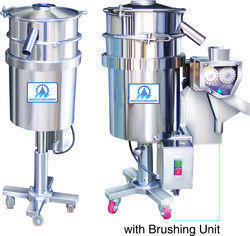 We are engaged in the manufacture, export and supply of a vast range of De-Dusting Machine. Made available in numerous specifications, these efficient and high durability machines are appreciated for their noiseless performance and minimum maintenance. 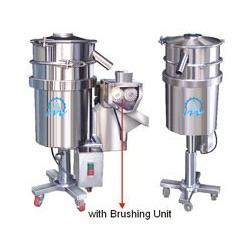 The proffered range comes with adjustable height to suit any type of tableting machine. 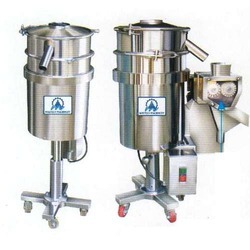 We are one of the leading manufacturers, exporters and suppliers of a wide gamut of DE Burning Machine. These machines are designed using best quality factor inputs for effective De-Burring and are appreciated for energy efficient features.